You’ve heard of herding Cats; well, here it is being done. 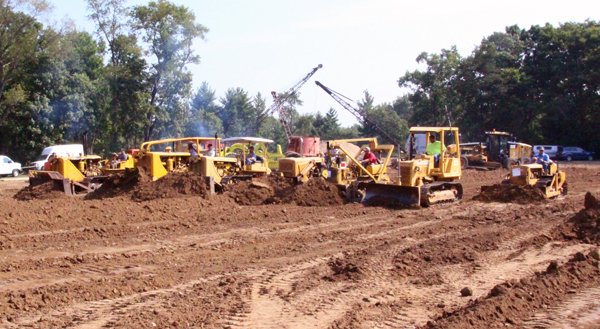 Seven Cat tractors in formation rearrange part of the sandbox. Left to right: Two D8s, two D6s, 2T series D4, D3B and D2.